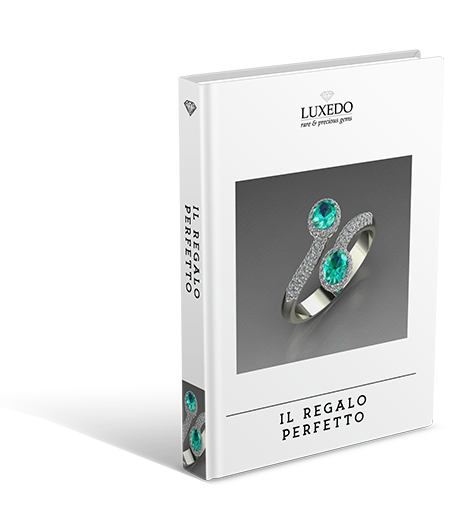 "A luxury box worthy of a precious stone"
"Making the best for your precious gift"
There are countless occasions to give a fine gemstone or a jewel as a gift: a Christening, a wedding, a birthday, an anniversary. A beautifully packaged gift is even more appreciated because it preannounces the pleasure of finding what is inside and shows the care and attention of who it comes from. All the gemstones are despatched in an original magnetic opening case. 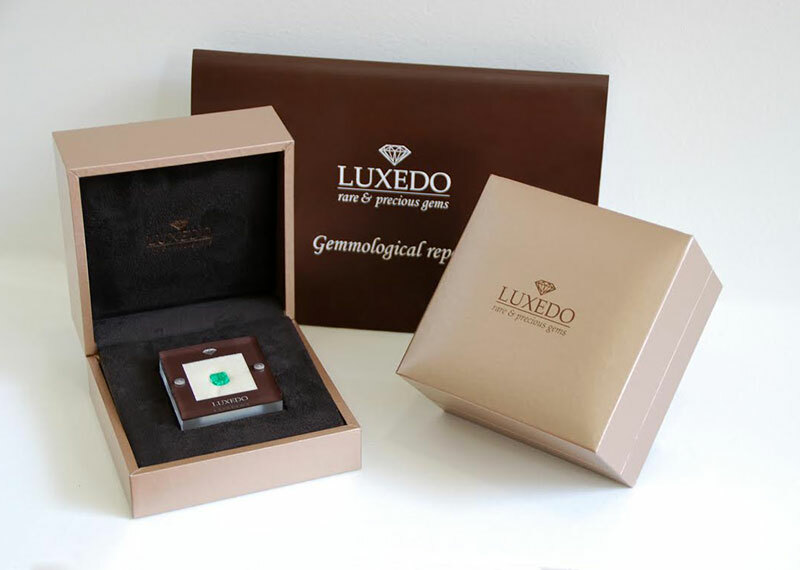 The case reports the gemmological certificate number on its backside, if it was requested. The anti-theft seals applied to the blister pack clearly ensures gemstone conformity to what is stated on the certificate. A fine gemstone is certainly an important gift and it is among the most appreciated, as the receiver will be able to create a jewel based on personal taste. We have created special elegant packages for our gemstones to bring out the best of your gift: golden pink coloured outside and an elegand coffee coloured alcantara inside, where it sits the transparent box containing the gemstone; the final effect is visually impressive. These elegant packages are included in the price for all our jewels. For many reasons, we believe packaging and packing materials used for despatching merchandise are important: the goods must arrive intact in their package and the receiver should have the possibility to check their integrity on arrival. For this reason we pay great attention and care to the packaging of merchandise and we seal the parcel with anti-theft tape that, if tampered, indicates the wording “void” or “open”, or we use marked envelopes with seals of guarantee. In this way the client has the possibility to check if the parcel has been opened or damaged and may, as we suggest, refuse or accept the delivery with reservation. Packaged in precious materials, created to present the gem sealed into the blister.